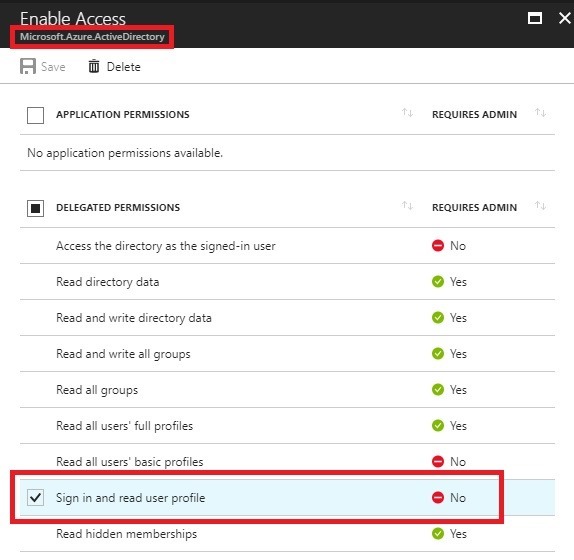 Some time ago Microsoft released the first preview of a tool which allows you to monitor and control your Azure Data Factory (ADF). 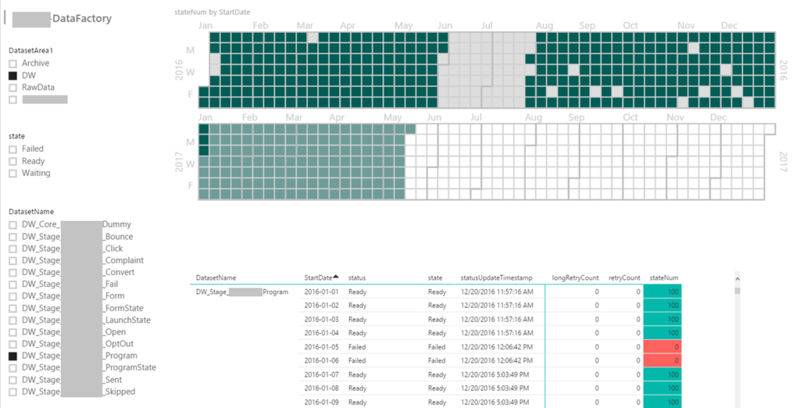 It is a web UI where you can select your Pipeline, Activity or Dataset and check its execution state over time. However, from my very personal point of view the UI could be much better, especially much clearer(!) as it is at the moment. 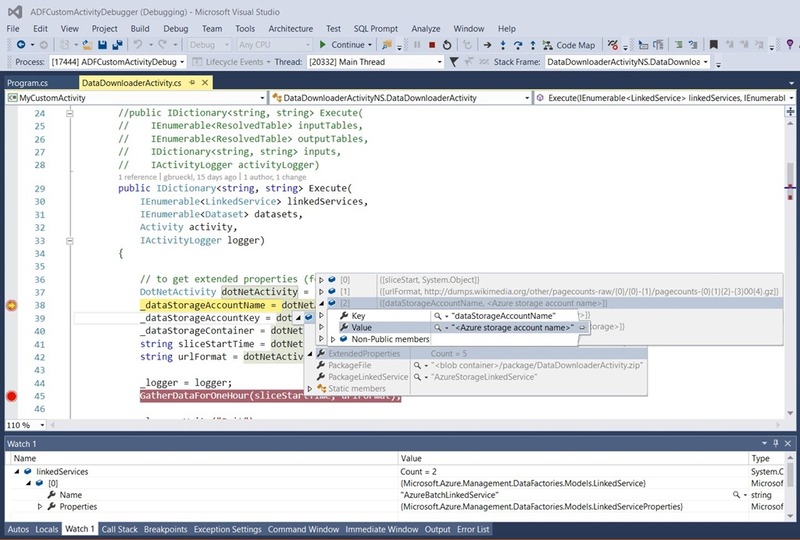 But that’s not really a problem as the thing I like the most about ADF is that its quite open for developers (for example Custom C#/.Net Activities) and it also offers a quite comprehensive REST API to control an manage it. For our monitoring purposes we are mainly interested in the LIST interface but we could do basically every operation using this API. In my example I only used the Dataset API, the Slices API and the Pipeline API. This works in a very similar way also for the Slices API, the Pipeline API and all other APIs available! 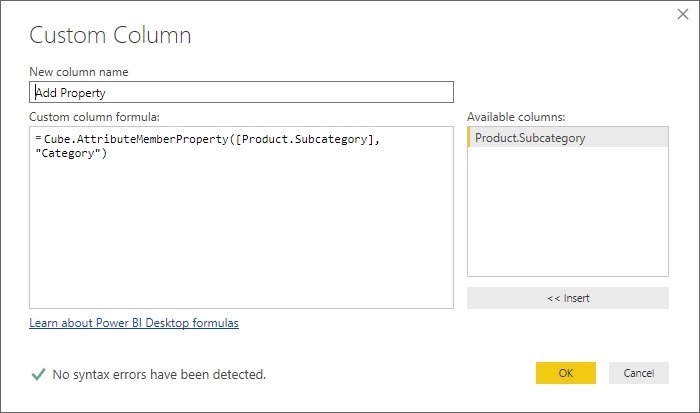 The other transformations I used are regular PowerQuery/M steps done via the UI so I am not going to describe them in more detail here. 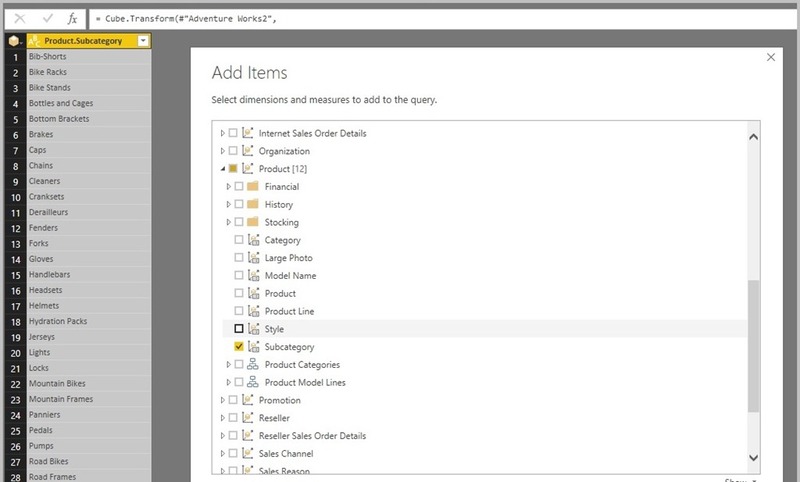 Also, setting up the relationships in our final PowerPivot model should be straight forward. Now that we have all the required data in place, we can start with our report. I used some custom visuals for the calendar view, some slicers and a simple table to show the details. 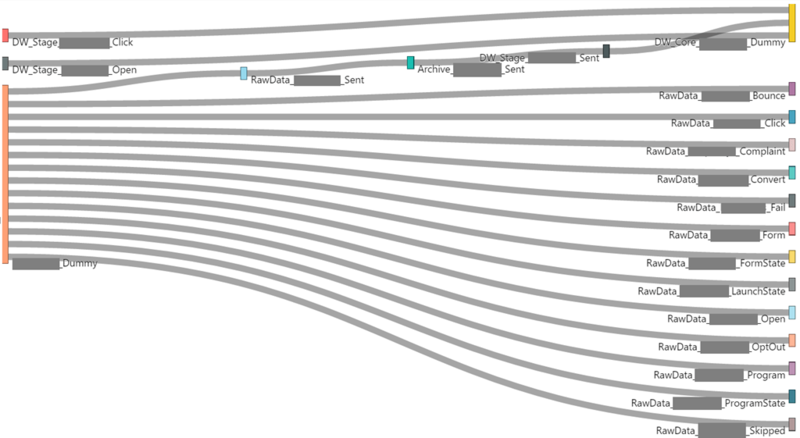 I also used a Sankey Chart to visualize the dependencies between the datasets. 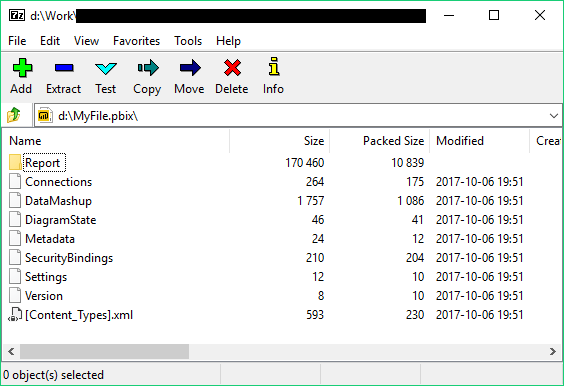 Compared to the standard GUI for monitoring this provides a much better overview of slices and their current states and it also allows easy filtering. 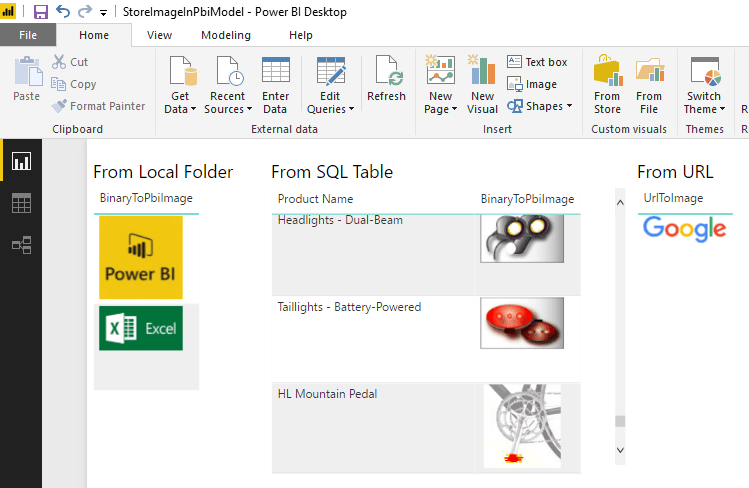 I am sure there are a lot of other PowerBI visualizations which would make a lot of sense here, these are just to give you an idea how it could look like, but of course you have all the freedom PowerBI offers you for reporting! 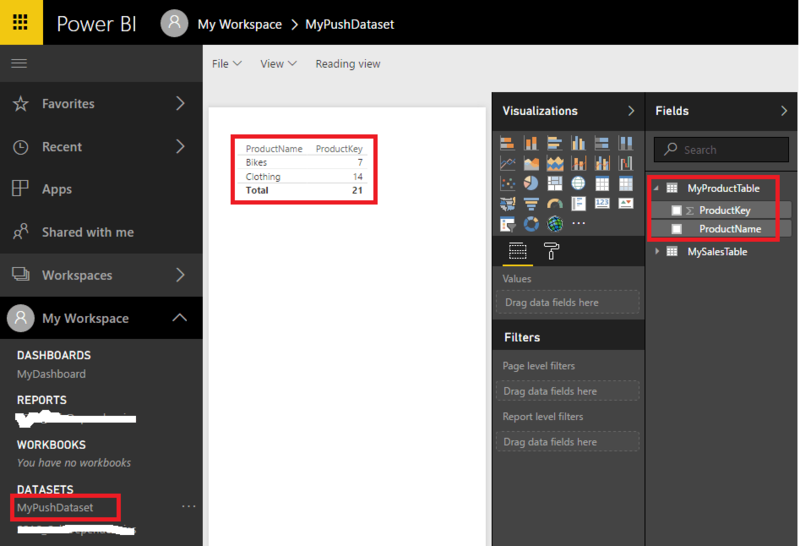 The only drawback at the moment is that you cannot reschedule/reset slices from PowerBI but for my monitoring-use-case this was not a problem at all. Also, I did not include the SliceRun API in my report as this would increase the size of the data model a lot, so detailed log information is not available in my sample report. I just received my first Microsoft MVP Award! Almost exactly 10 years ago I started my career in the field of Data Warehousing and Business Intelligence using the Microsoft Data Platform. Every since I have been active in the community, sharing my experiences and engaged with other people in various forums. I have to admit that most of the things that I know today I originally learned from my strong interaction with the community and by solving (or trying to solve) problems of other community members that I came across when browsing e.g. the MSDN forums. This exchange is always a win-win situation for both sides as you grow with every challenge you master and that’s what the community is all about – having someone to discuss your issues with and solve them together! Therefore I am very proud that I got awarded with the Microsoft MVP Award for my work in the community which includes blogging, answering forum questions, speaking at conferences and supporting local Microsoft events – or, to say it in a more general way, my engagement in the community! Thanks to everyone who I ever worked with, letting me learn on their problems, inspiring me to start my blog and keep being active in the community over the last years! Thank You!